Ellen Marshall focuses on business transactions, including capital markets, finance, mergers and acquisitions and securitization. 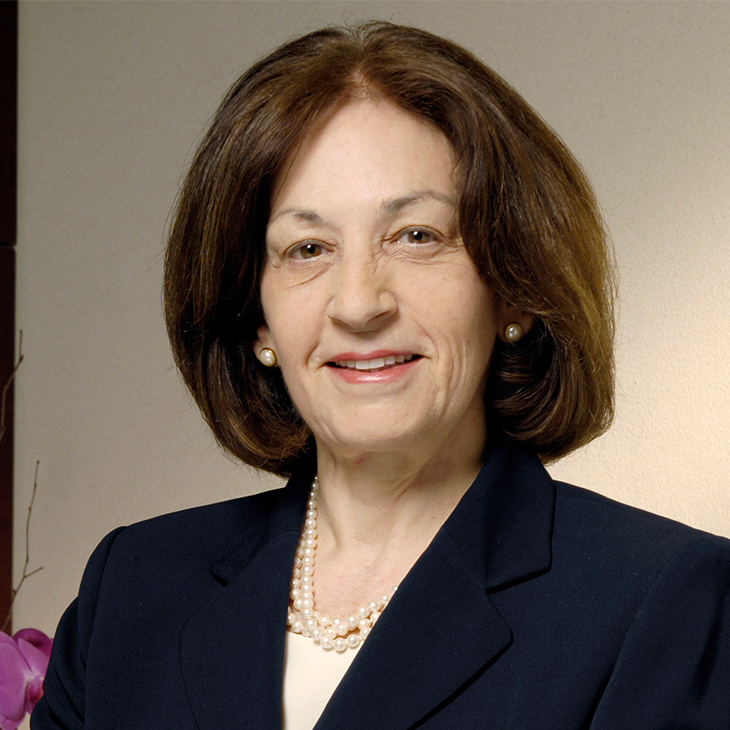 She has practiced banking, corporate and finance law in Los Angeles and Orange County for more than 30 years. Ellen represents businesses in their acquisition and disposition of companies and business units. She represents banks, investment funds and other companies involved in the mortgage, auto finance and other specialty finance business, including such financial products as reverse mortgages, equipment leases and patent royalties. In addition to her extensive work in the financial services industry, she routinely handles transactions for companies in the healthcare and real estate industries. She handles structured acquisition of business portfolios and securitization of unusual financial assets. Her recent work includes advisory engagements deriving from regulations implementing the Dodd-Frank Act; assisting fintech startups in their product development; and structuring cannabis industry participants. Ellen also has significant experience with pension fund investment, fiduciary, trust and ERISA compliance. Ellen is active in the Orange County community, serving as a Trustee of the Orange County Museum of Art since 1992 and a member of the Board of Counselors of Pacific Symphony since 2003. Panelist, “Basel III – Navigating Requirements. How to be Adept in the New World of Capital and Regulatory Requirements,” Watkins Meegan Seminar, Los Angeles, CA, October 2013. Speaker, “Basel III – What’s in it for Community Banks,” Watkins Meegan Seminar, Washington, D.C., October 2013. Moderator, “The New World of Residential Mortgage Origination, Securitization, Servicing and Enforcement,” American Bar Association Annual Meeting, San Francisco, August 2013. Moderator, “Securitization: A Conversation with the SEC,” American Bar Association Annual Fall Meeting, Washington, D.C., November 2011. Speaker, "The Dodd-Frank Act's Impact on Banks," Annual Moss Adams Banking Industry Conference, Costa Mesa, CA, September 2010. Moderator, "Energizing Business - Reviving the Finance Sector," Executive Briefing, University of California Irvine, September 2009. Speaker, "Taking the Mystery out of CMBS Loans," NAIOP Workshop, Santa Monica, CA, September 2009. Speaker, "Workout of Loans Held in CMBS Trusts," Commercial Real Estate Workout Strategies for Lenders and Servicers Symposium, Irvine, CA, June 2009. Speaker, "Workout of Loans Held in CMBS Trusts," Commercial Real Estate Workout Strategies for Lenders and Servicers Symposium, San Francisco, CA, June 2009. Panelist, "Commercial Mortgage Backed Securities," IMN Alternative Investment Conference, Dana Point, CA, March 2009. Panelist, "Scrutinizing The Bailout Plan: What Opportunities In Real Estate Investment Does It Offer?" IMN Winter Real Estate Forum, Laguna Beach, CA, February 2009. Webinar, "Distressed Loans in Commercial Mortgage-Backed Securities," Manatt, Phelps & Phillips, December 2008. Named Best Lawyers® 2018 Orange County Banking and Finance Law “Lawyer of the Year"
Named Best Lawyers® 2016 Orange County Banking and Finance Law “Lawyer of the Year"
"Commentary: A Vision for the Future of Fannie and Freddie," DS News, April 2013. "How Proposed Basel III Rules Could Impact MSRs," DS News, November 2012. "Key Takeaways From the Mortgage Bankers Association Convention," Manatt Newsletter, October 2012. Co-author, "CMBS Concerns," Commercial Investment Real Estate, July 2012. Co-author, "CMBS 2.0: Still in Need of Work," Urban Land Magazine, January/February, 2012. Co-author, "Incentive-Based Compensation: FDIC Proposal Will Lock Up Payouts," BankNews, April 2011. "Risk Retention Rules for Securitization of Mortgages and Other Financial Assets," Manatt Newsletter, March 2011. Co-author, "Whither MERS?" Manatt Newsletter, February 2011.